Reflections at Bloomington Central Station is a mixed-use, transit-oriented development located near the Mall of America in Bloomington, Minnesota. 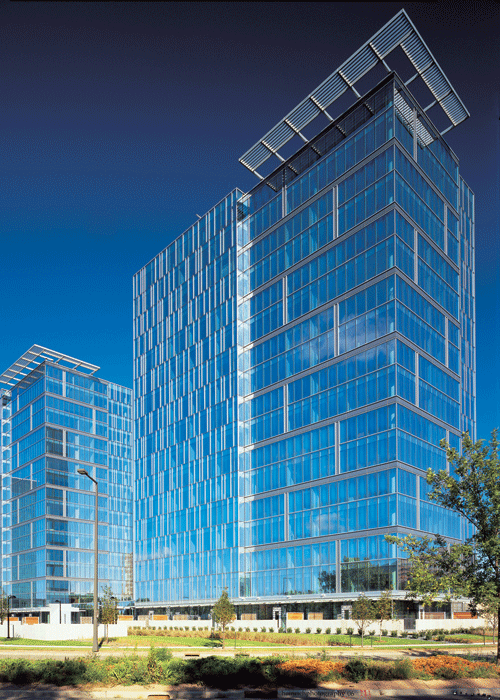 The LEED certified project consists of two glass-clad towers that rise 17 stories to accommodate 260 condominiums (282,000 square feet) and two levels of below-grade parking (152,000 square feet). Cast-in-place post-tensioned flat plate concrete comprises the primary structural system of the towers. 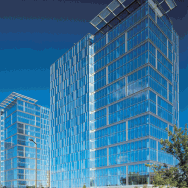 Reflections is designed to LEED NC 2.1 specifications. Bloomington Central Station is a $600,000,000 project that will be constructed in 4 to 6 phases. Plans include 1,000 residential units, two hotels, 40,000 square feet of restaurant and retail space, 1,500,000 square feet of office space, and parking for 2,000 vehicles.